Final Fantasy X-2.5 ~Eien no Daishō~ (Final Fantasy X-2.5 ~永遠の代償~, Final Fantasy X-2.5 ~Eien no Daishō~, lit. 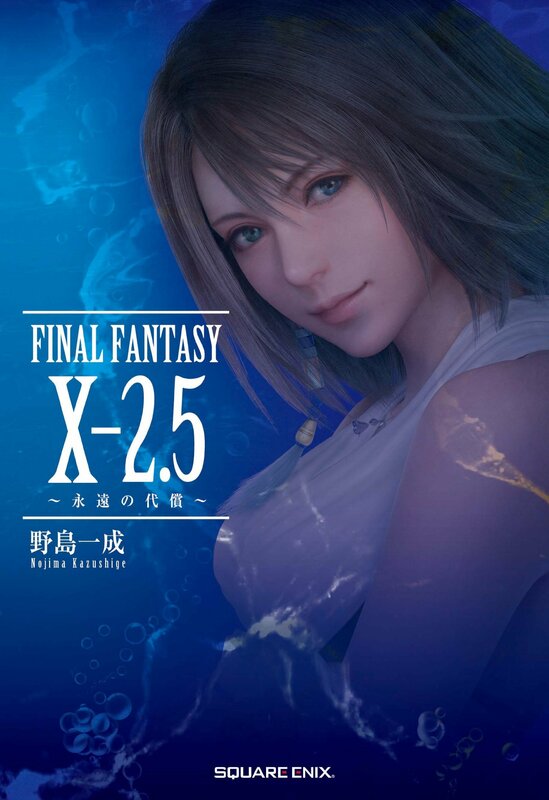 Final Fantasy X-2.5 ~Price of Eternity~) is a novel sequel to Final Fantasy X-2 written by Kazushige Nojima who had written the scenario for Final Fantasy X and Final Fantasy X-2. It was released on December 26th, 2013 to commemorate the release of Final Fantasy X/X-2 HD Remaster. It ends with the words "To Be Continued", the story being followed up in the audio drama, Final Fantasy X -Will-.